A gaud is a charm or trinket typically found at the end of a rosary. They could be fashioned as a crucifix or other small medallion depicting a Biblical scene or saint. 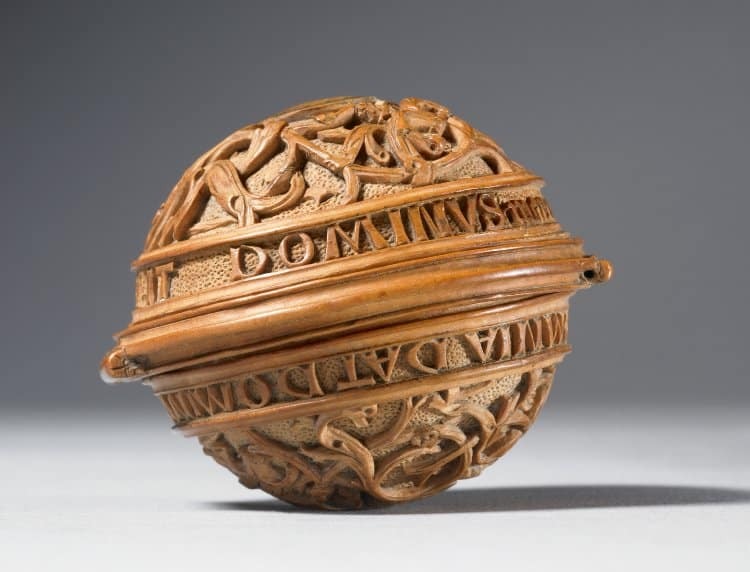 A spherical type of gaud called a nut was carved from boxwood or hardstone and hinged open to reveal intricate carvings of the figures of saints or Biblical scenes and were often hung from a rosary. Sometimes these hidden treasures were made of metal and elaborately enameled. An entire rosary could be composed of intricately carved nuts. 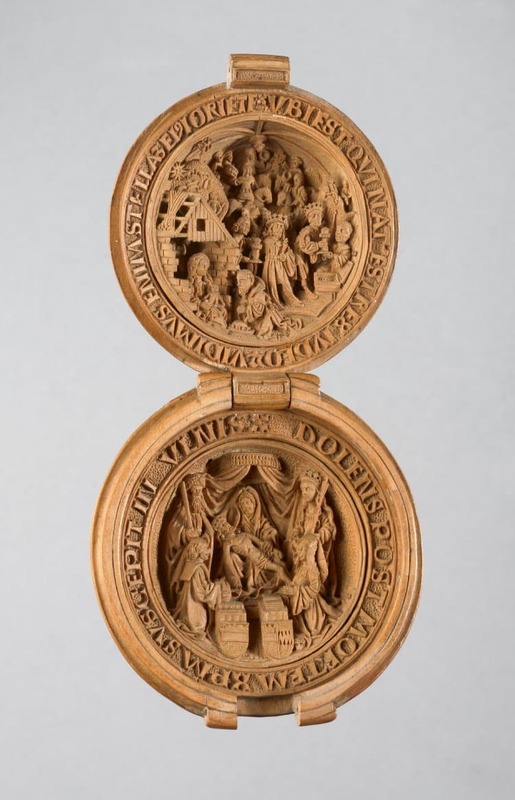 Interior Detail of a Boxwood Carved Rosary Gaud or Nut. c.1480-1530. © Trustees of the British Museum.